I want my children to marry this staircase so that I can have grandchildren who look like it. I want to be this staircase. 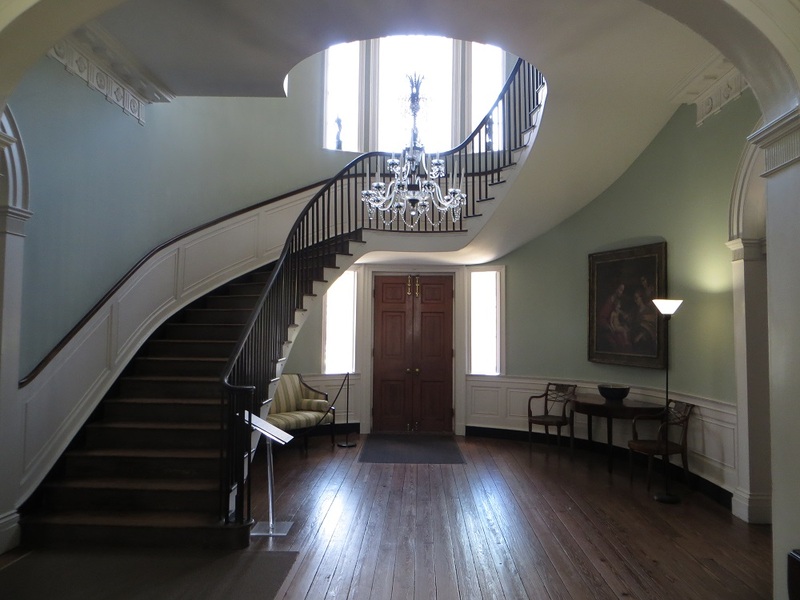 The staircase is in the center hall of a house in Charleston, South Carolina, built by Gabriel Manigault (circa 1803) as a town home for his brother, Joseph, a wealthy rice planter. The application of the Joseph Manigault House to the National Registry of Historic Places calls the house, with its Federal details and period furnishings, “one of the finest examples of the Adams style in America.” And to think that in 1920, someone was planning to tear it down so that they could build a gas station. That’s when the Society for the Preservation of Old Dwellings stepped in and saved the house. It now belongs to the Charleston Museum, which is located just across the street. The downside of our visit to the Manigault House was that the tour was unexceptional. We had to take the tour to see the house and our guide and the house narrative just wasn’t that interesting. But don’t let that stop you from visiting. The interior is stunning and worth subjecting yourself to a half hour of ennui. And you might get a better guide. 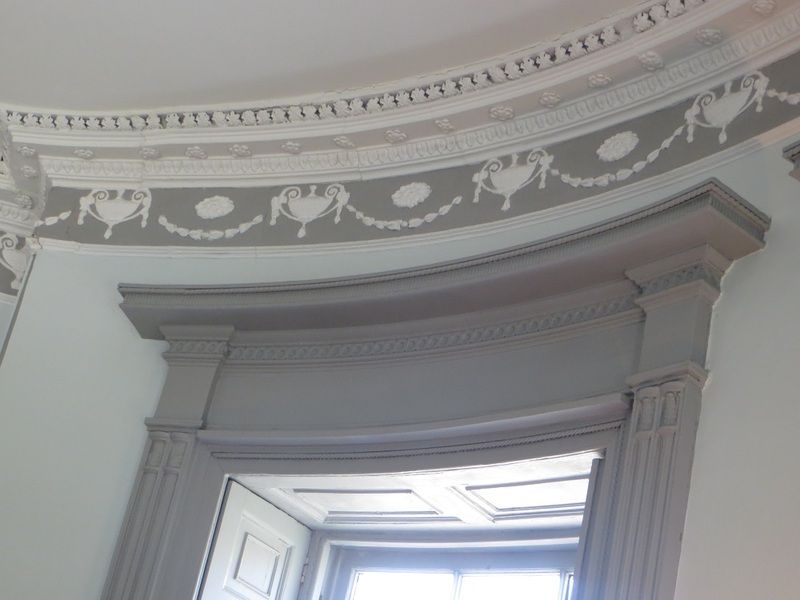 An added bonus is that you can take photographs inside the house. In my experience, the Manigault House and the Charleston Museum’s other property, the Heyward-Washington House, are the only historic house museums in Charleston that allow inside photos. Joseph Manigault was married twice, to women also of the plantation class. Wife #1 was Maria Henrietta Middleton of Middleton Place. Wife #2 was Charlotte Drayton of Drayton Hall. Middleton Place and Drayton Hall are just outside of Charleston and both are now house museums, open to the public. 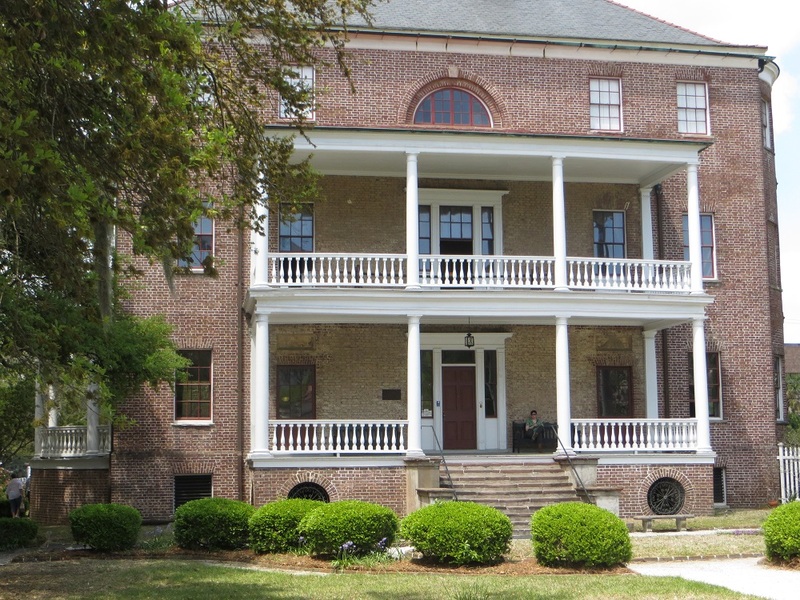 Gallery | This entry was posted in South Carolina and tagged Charleston house museum, Gabriel Manigault, Joseph Manigault House. Bookmark the permalink. I also have staircase envy! The Octagon has a pretty cool staircase too. I need to get to the Octagon soon. I’ve always wanted to see it but it always seems closed. I’ll have to make a special effort before the end of summer. What in the world was wrong with folks in the 1960s and 70s?? Seems like so many fine structures were “dozed” to make way for shoddy hotels and gas stations! Very much enjoyed this post! Thank you. I know that aesthetic values differ with the times, but I have a feeling that 100 years from now, no one is going to be sorry that they didn’t tear the house down in favor of a gas station. Classy, elegant and beautifully proportioned – all things I wish I were and have never been! Yes, I am jealous, too. I just don’t understand people who fail to support historic preservation. No one travels from out of state to do homage to a gas station. You make me want to do a little research to see if there are gas station museums out there. Bet there are! The old pumps are collectables. There is a guy in south Nashua who has antique gas pumps lining one side of his driveway. Makes an impressive display. That would be an interesting sight.